I have been loving applying gel nails whenever I have some extra time to do my nails. 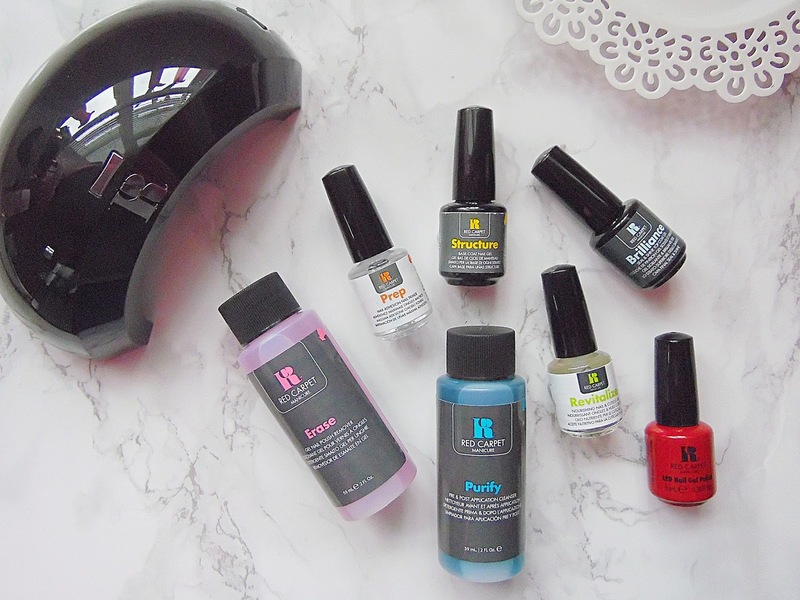 The Red Carpet Manicure products are by far the best that I have tried from any gel nail polish brand and I really like that they don't add any extra damage to my nails. I had a terrible experience with a gel nail kit that I used last year and my nails are only just back in decent shape but I am happy to report all good things with Red Carpet Manicure! That's quite the packed full kit! I have found this kit incredibly easy to use and found that it doesn't actually take that long to apply gel nails when I use this. What I really like and found to make everything so easy is that the LED Light has a timer function so you know when to remove your nails from under the light. In the box is some simple instructions on how to apply your own gel nails, I actually found the step by step guide on their website much easier to follow personally! You can actually plug the lamp into your desktop or laptop which I love as my desk doubles as my dressing table so its perfect to do my nails sitting at my desk. When I use this kit my nails never chip and I switch up my colour around ten days after the application. This is definitely worth investing in if you go regularly to a salon as it will seriously save you some money. 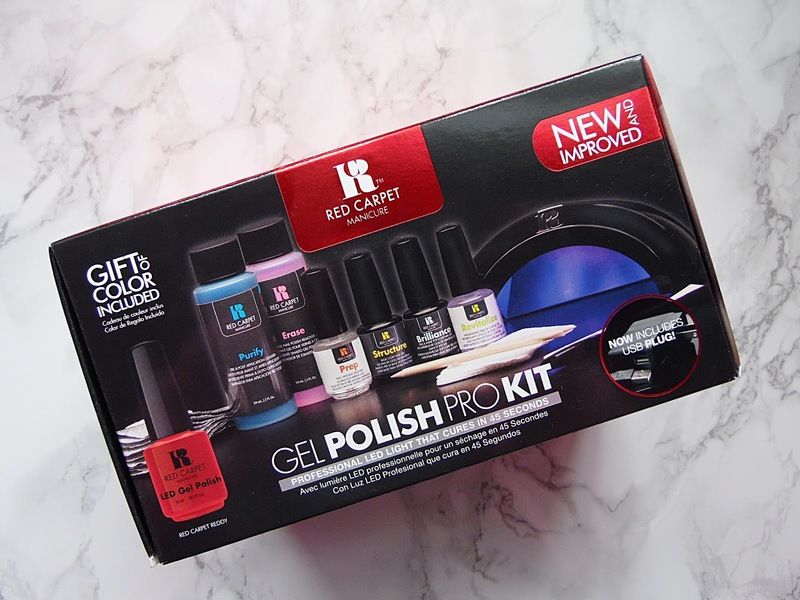 In this kit you do get one nail polish which is a gorgeous red but Red Carpet Manicure also have a great range of polish colours to choose from. The glossiness stays on the nails until you remove the polish and doesn't wear off like I have experienced with other gel kits. When it comes to the removal process it is so easy to soak of the gels but please don't peel it off as this will ruin your nails. The Red Carpet Manicure Starter Kit retails for £89.95 - HERE.